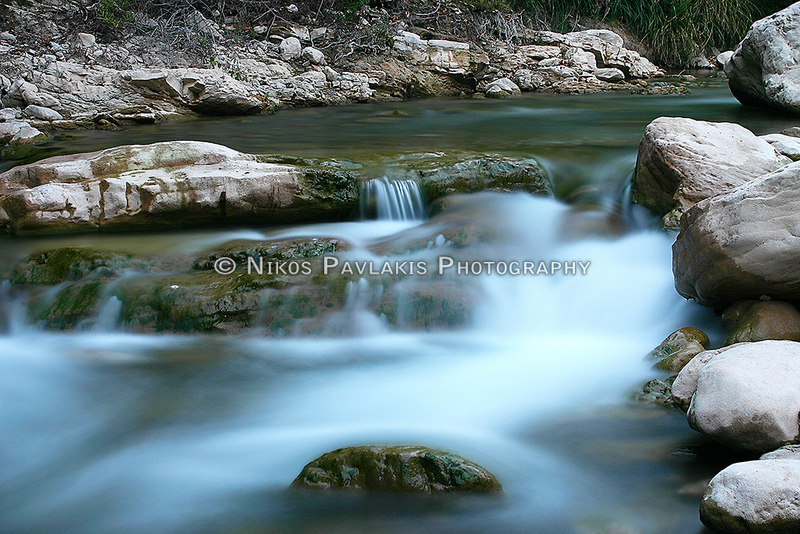 Neda is a river of Peloponnisos at the frontier of Ilia and Messinia. 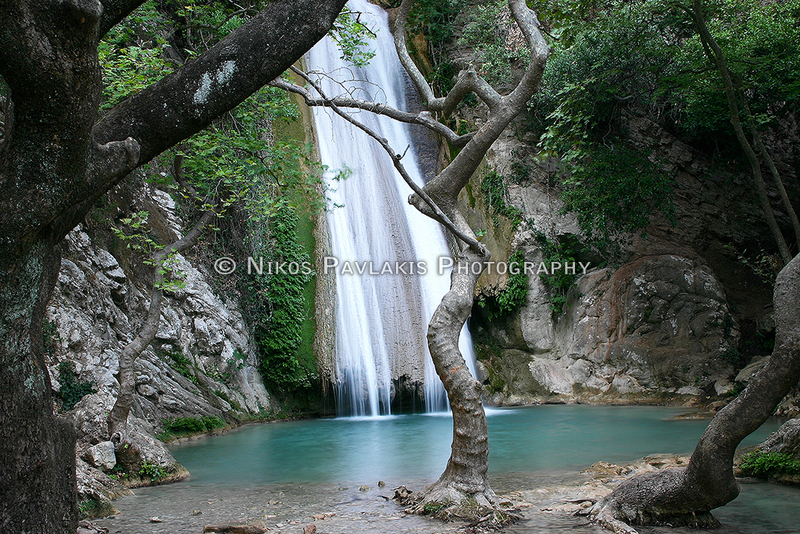 It flows from Mount Lykaion, westward and into the Ionian Sea, between the shores of Kyparissia and Zacharo. Its length is 32 km. 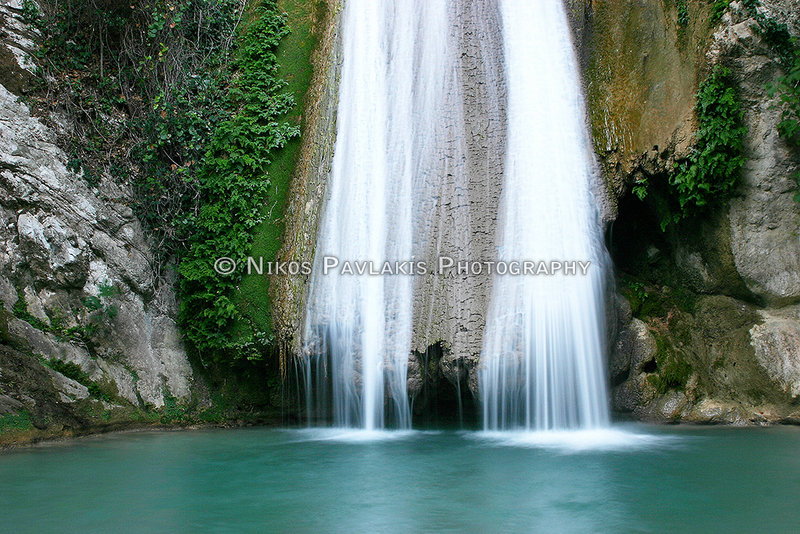 The River from ancient times formed the borders of Elia and Messinia, as Pausanias states. Near the banks of the river there was the town of ancient Figaleia and the temple of Apollo at Bassai. The river crosses the gorge in a large section with very rich flora. Along the river they form cataracts with the largest being close to Figaleia and a height of about 50 meters. Neda was a nymph of Arcadia, daughter of Ocean and along with other nymphs (Theisoa and Agno) allegedly raised Zeus when they received him from Rhea. According to lhe legend, because at that time the Arcadia was arid and Rhea did not find water, she hit earth with a stick, the river was created and was named Neda after the nymph. I have been to Neda three times, with the best pictures being taken the second time in mid-August 2006. The other times, I was just not as the second one, there were a lot of people, trash and pets, it was noon with sharp shadows and uneven lighting, everything a photographer does not need to do his job like he wants. The journey by car is easy, but especially when it rains you simply canno predict what you will find ahead.... and if there will be any road at all... 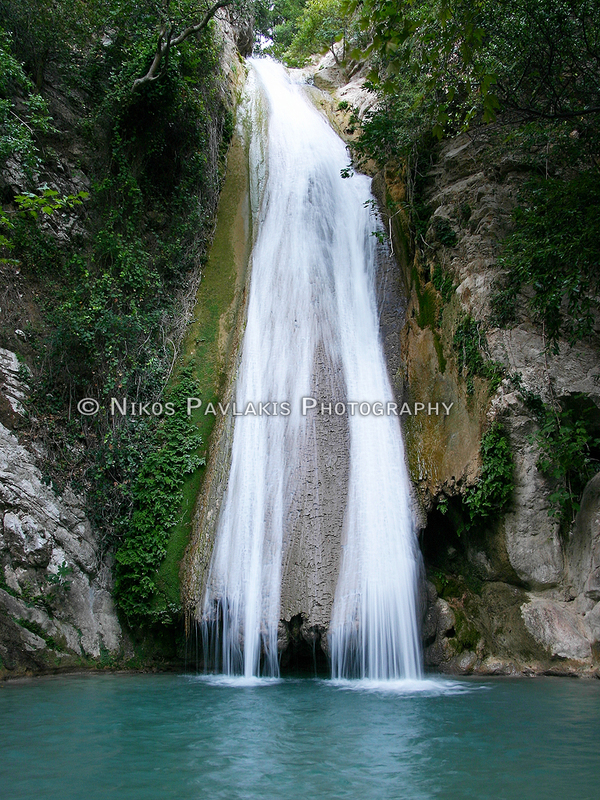 The village of Platania is the starting point of the adventure, with coordinates 37.38626N and 21.82395E . As the map shows, there is a country road at the right going down for a few kilometers into the canyon,. Atthe end of it, there is enough space to leave your car (preferably a jeep, even though when the weather allows they maintain and fix the road). Just as we leave the car we start walking to the waterfalls, in fact there are two trails to the waterfalls and one that leads to some ancient ruins, which I have never followed. One path to the falls starts from the river to the left under the bridge. It is quite scenic and at some points you need to get into the river. Avoid it when it rains, especially in winter. The second route is a little more difficult with steep gradients of the path, and there is always a risk of someone slipping on the rocks if not careful, or a stone falling from above the path if it has rained. You must definitely wear sports shoes and do not make the mistake to walk the path with flip flops because the strain is guaranteed. The route of this trail is about 20-30 minutes of moderate difficulty and stamina. The water is crystal clear and even though it is summer, very cold!